Rudolph Thompson, a St. Vincent native, has been working at Young Island for the past twenty five years. This dedicated staff member works in the resort kitchen, and will also be competing in the 2019 Special Olympics World Summer Games in Abu Dhabi. Rudolph has a hearing impairment and is deaf. Because of this, he attended The School for Children with Special Needs in Kingstown, the capital of St. Vincent & The Grenadines. While at that school, his teachers recognized that he was a talented sportsman and therefore, encouraged him to become active in sports. He became involved in soccer, tennis, swimming and cycling. 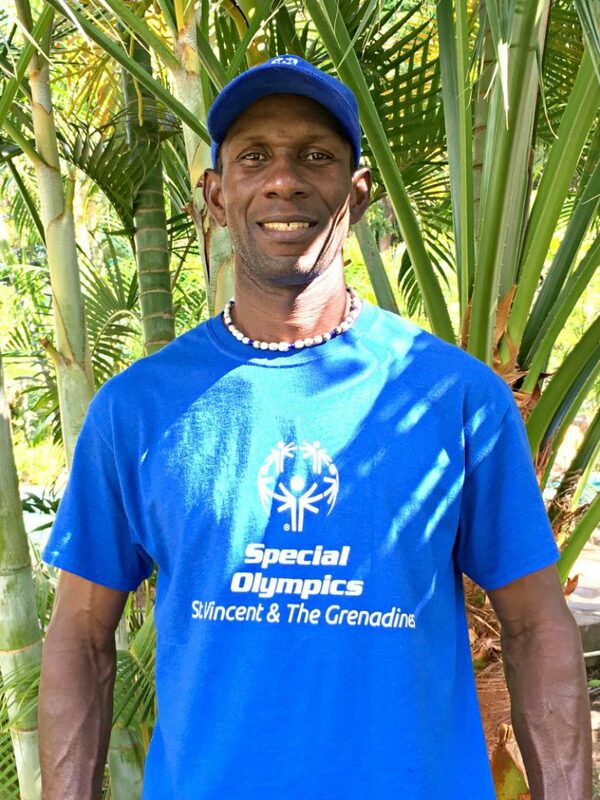 At the age of 14, he was involved in athletics, and now at the age of 44, he is still an important member of the St. Vincent and the Grenadines Special Olympics team. He continues to win gold medals in his events when competing at home. Rudolph has represented St. Vincent and The Grenadines abroad at four different Special Olympics Championships and as recently as 2015, when he copped a silver and a bronze medal at the championships in Los Angeles, California. He participates in the 100m, 200m and 400m relays, and his favorite event is the 100m sprint. He trains four times per week and is looking forward to his participation in the 2019 Special Olympics. Young Island’s Executive Chef Christopher John describes Rudolph as a hardworking and committed worker who is quick to learn. On behalf of Young Island, we wish him the very best as he prepares for the 2019 Special Olympics World Summer Games!